The Garden Classroom is really excited to be launching our Urban Forest School programme this summer, enabling children in the heart of London to be able to experience the wonder of this inspirational process. Following a successful pilot with 4 schools in 2018, The Garden Classroom is proud to be able to offer a version of the traditional Forest School model that embodies the ethos and principles of this child centred movement, while being delivered with a class of 30 in an urban environment. 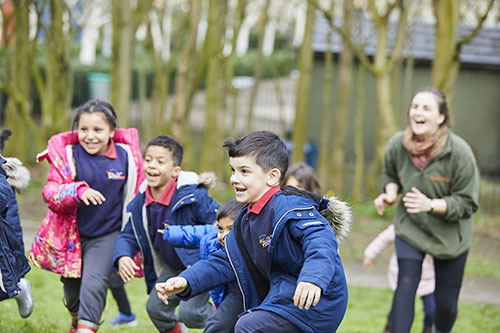 Delivered by Level 3 qualified Forest Schools practitioners, the Urban Forest School programme delivers six, two-hour sessions with a KS1 class in a green space local to your school. Enable children to feel valuable, unique and equal as well as regular success as they develop new skills. Create strong and positive relationships with themselves and others. Cost: £800 for six, two-hour sessions. For more information, please contact schools@thegardenclassroom.org.uk or call Rohan on 07484 085356. 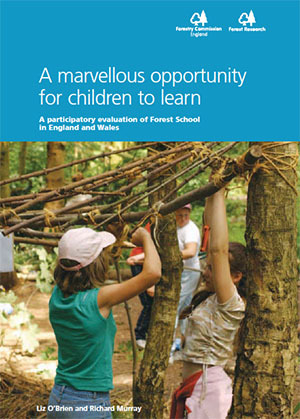 The Forestry Commission England in 2006 launched an evaluation of Forest Schools.